Applications are open for the free Top Tech Tools for Women in Business programme offered by CiTi and the City of Cape Town. The Cape Innovation and Technology Initiative (CiTi) will again offer its 10-week Top Tech Tools for Women in Business programme. 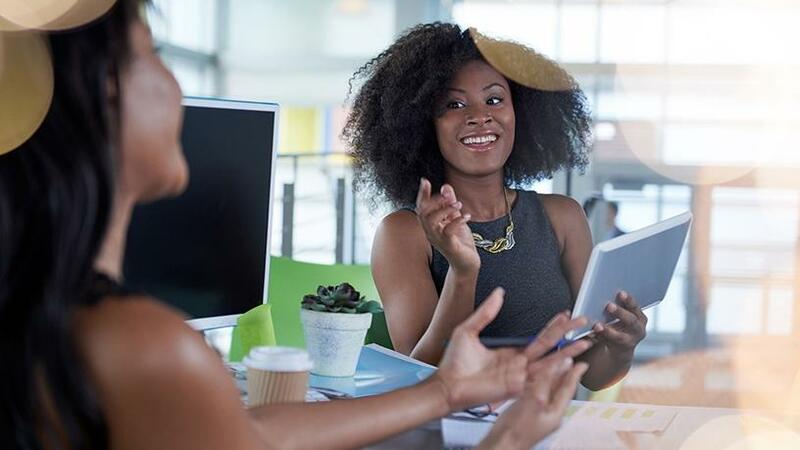 The free course, which kicks off on 19 September at the Khayelitsha Bandwidth Barn in Cape Town, is aimed at women founders and CEOs from the Western Cape between the ages of 25 and 50. CiTi, in partnership with the City of Cape Town, has so far run six cohorts of the programme, training over 200 female entrepreneurs in four years. CiTi entrepreneur development programme co-ordinator Nobuzwe Dolophini says the initiative is designed to equip 35 women with the knowledge, tools and strategic mindset to effectively integrate technology into their business. "We start from the basics of why and where you need a digital tool to improve your business," explains Dolophini, adding that by the end of the sessions, the women will be able to devise a strategy on how to incorporate technology into their business. "Topics to be covered by the programme, which will be facilitated by business leaders and experts, will include financial management systems, cloud computing and social media marketing. It will also cover developing a tech strategy, project management as well as successful implementation of IT tools into a business." Dolophini adds that the chosen participants will benefit from the initiative's networking and coaching opportunities, as well as access to events and further support. Applicants must have a registered business that has been running for at least a year that employs a minimum of one employee. "Applications are open for women from Khayelitsha, Mitchells Plain, Philippi, Langa or any of the surrounding Cape Flats areas, although their businesses can operate in any Cape Town area. The application process will require that applicants submit documents that include a tax clearance, CIPC company registration, BBBEE affidavit and a company profile," she notes. Formerly known as the Cape IT Initiative, CiTi was founded as a non-profit organisation in 1998 by a broad group of industry stakeholders and inspired citizens. The initiative is working on refocusing the Cape Town region as a global technology cluster and a hub for innovation that is a significant contributor to economic growth. The City of Cape Town was recently recognised as a major tech hub. The "Evaluation and Network Analysis of the Cape Town-Stellenbosch Tech Sector" report released earlier this month highlighted the province as the most productive technology sector in Africa, employing up to 50 000 people. A recent PwC report on the South African workforce states women remain underrepresented in the higher levels of corporate SA. The report states that although 40% of today's global workforce is female, with women holding only 5% of global chief executive positions, Barclays Africa CEO Maria Ramos is the only female CEO out of the country's top 40 JSE-listed companies. Another report, the 2018 Gartner Global CIO Survey, states only 31% of IT employees are women and that number drops to 22% at the leadership level. "However, we expect the proportion of female chief data officers to increase to 33% by 2021, up from a current 18%."